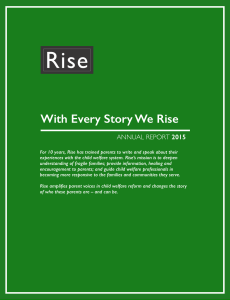 Rise had an outstanding year in 2015! We celebrated our 10th anniversary–and doubled our budget. So many of you contributed to our success. Thank you. * Our parent leaders presented to 500 professionals in November, including Congressional staff, Bronx and Manhattan Family Court, ACS attorneys and new child protective staff. * We ran our first writing workshop at a foster care agency, Graham Windham, as well as a workshop for frontline staff to reflect on their work with parents, at Sheltering Arms. * We met with ACS Commissioner Gladys Carrión to present parents’ priorities for improving parent “well-being,” based on conversations with 40 parents with recent or open cases. 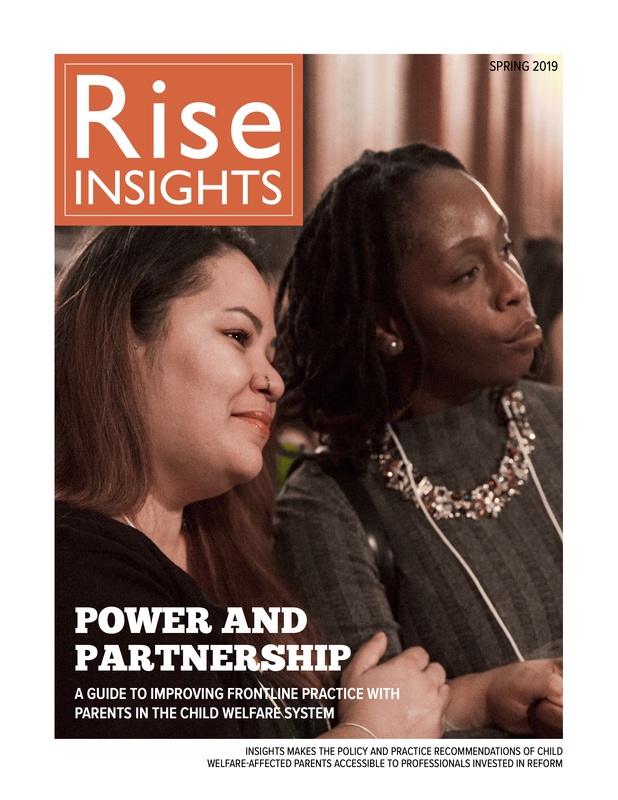 Please consider investing in Rise’s future by making a fully tax-deductible contribution today. Enjoy learning more about our accomplishments in our first decade–and plans for our next!